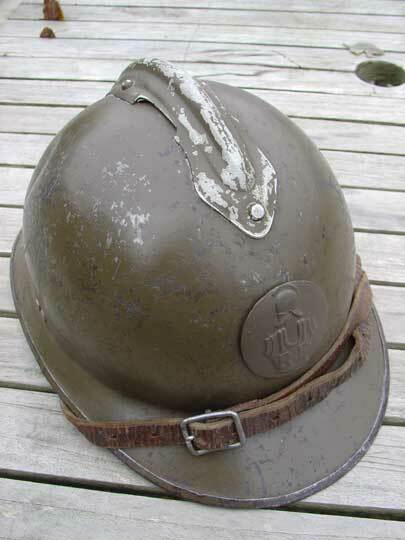 French Engineer WWII Adrian M 1926 helmet Untouched green/brown helmet with age spurs. Engineers badge with Roman helmet and torso with RF (=Republique Francaise). Very good liner and leather chin strap.